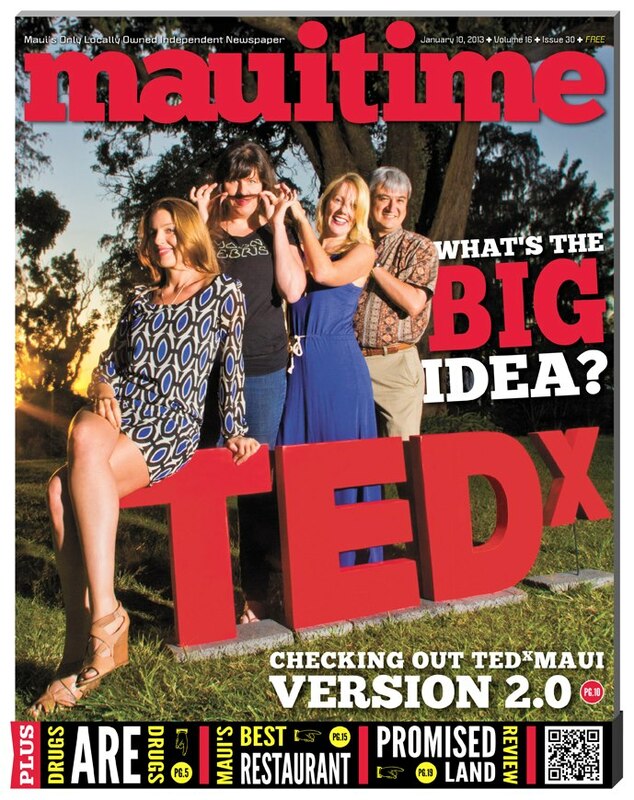 The TEDxMaui 2013 Team is on the cover of Maui Time Weekly this week! Thanks so much Jen Russo for writing the excellent story, art director Darris Hurst for the amazing cover design and publisher Tommy Russo for making it all happen. We are very honored!